It’s Humanist Time in the City…. 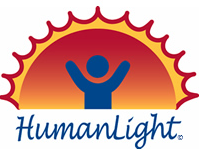 A friend of mine sent out an e-mail about attending a recent HumanLight celebration in the Philadelphia area. It was hosted by another friend who had been a member of my local Humanist group here in Ohio. HumanLight is a positive secular humanist take on the winter holiday season so full of theistic religious symbolism. My friend Martha Knox was interviewed on Tuesday the 23rd for Morning Edition on NPR about the celebration. While others are lighting Hanukkah candles or decorating Christmas trees, atheists and humanists are holding their own December celebrations. The secular holiday known as HumanLight began eight years ago. And while there are no set traditions, many of these gatherings use familiar rituals such as singing and candle lighting to highlight reason and human achievement. HumanLight can be celebrated anytime on or around Dec. 23. The date was chosen because it is between the winter solstice and Christmas. This past weekend, groups gathered across the country to celebrate. Because humanists don’t have a bible or religious doctrine, there’s no right or wrong way to celebrate HumanLight. Gary Brill, who co-founded the holiday, says the parties are usually family occasions. 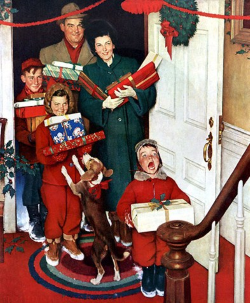 However, some humanists ignore the holiday, saying it feels too much like religion. I am not one to totally ignore the holiday season since that would be impossible, but I still don’t celebrate it religiously or secularly. However, if you do want to celebrate the holiday season and the coming new year then HumanLight is a good secular way to do it. It isn’t just a new definition of a religious celebration. This entry was posted in Humanist Movement and tagged Christmas, holidays, HumanLight, Pagan, secular humanism, winter solstice on December 24, 2008 by Doug.